It would seem that no sign is better equipped for lying than Gemini. 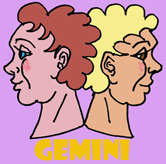 Gemini people are generally quick thinking, adaptable and quite often they have singular gift for gab. Given their talent for communication, it’s hard to see how any Gemini liar could ever get caught, but quite often they do. The first limitation on the Gemini capacity for deception is the fact that they typically don’t plan far into the future. Gemini’s prefer to take life as it comes, cleverly adapting to whatever changes come their way. For this reason the lies they tell tend to be hastily constructed fabrications designed on the fly to fit a developing situation. They can be remarkably inventive and even ingenious, but Gemini’s attempts at guile rarely stand the test of time. The second problem the Gemini liar faces is his or her inability to simply shut-up. Gemini liars have a tendency to keep elaborating and adding to the tales they tell. All too often they end up piling lies on top of lies until the whole enterprise becomes a joke. 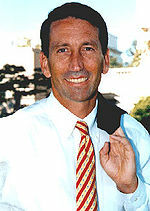 This is what happened to South Carolina Governor Mark Sanford (born May 28, 1960.) He had been lying to his wife about his involvement with other women for years and apparently getting away with it. He had even been “disappearing” for days at a time in order to be with these women. Mark Sanford’s peccadillo was only one of many instances of politicians, (usually conservative, “family-values” politicians,) getting caught in extra-marital affairs. And yet, in the midst all these sleazy violations of trust, this Gemini's lies have to counted among the most entertaining. So what sign would you call "the biggest liar in the zodiac"? Would it be Gemini? Go to comments an let us know.